Let’s say you have a table called ‘car_make’ and another table called ‘car_model’. There is a one to many relationship between make and model. You want to bring back a result set of all makes, 1 row per make, but you want only 1 generated column for model that has all the models concatenate into that 1 column. You also want to add carriage controls so each model will appear on a separate line in your row on your report. 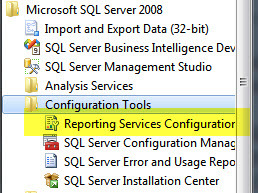 If your sql server is installed with the default collation of case-insensitive, you can accomplish this in sql instead. If the result is Collate SQL_Latin1_General_CP1_CI_AS, then it it is case-insensitive. Let’s say you have a column in a table that is comma delimited. The value in the column is ‘APPLE, ORANGE, GRAPE’. You want to break down this string value into individual rows. You may also want to create an auto-incremented IDENTITY column too. Here is one way it can be done. 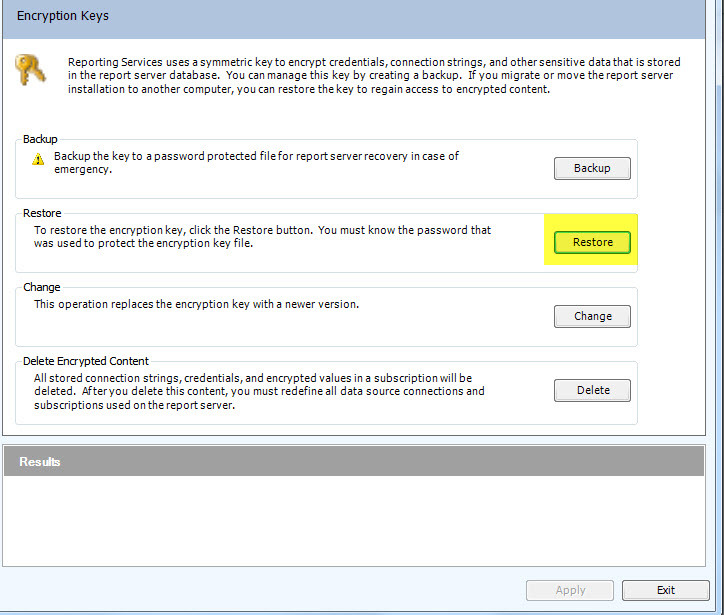 Go to the Reporting Services Configuration Manager and restore the encryption key with your backup. Apply the changes and it should fix the issue. If you didn’t back up the encryption key when you installed the reporting server… well, I guess you are out of luck. You will have to delete the key and start over by deleting the the corrupted key (Click the Delete button) and redefine the connection and subscriptions on the report server. Now when you go to your reports via the url in the browser, it should work. — This SQL reads in a varchar(10) field called work_hours that could have anything in it. It should be numeric represented as decimal. — The CASE statement will produce either 0.00, or (if it is numeric) whatever is in the work_hours field. — The is_numeric column is for analytical purposes and shows that the value of 1 means it was numeric and 0 when it was not numeric. As mentioned in my last post (Loop through an existing table), I said that I would expound on its example by reading a column that contains a delimited string. In this case, it will be an address that is delimited by spaces. For example, 500 East Main St. This process will break down the address in parts and insert them into an address table that contains 10 columns, 1 column for each part. 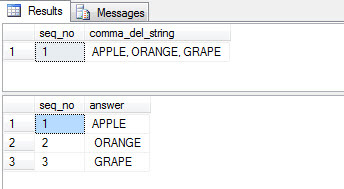 In T-SQL you may want to loop through an existing table and do something. You may want want to use this type of processing in a SSRS report. Here is an example of walking through a table that simply extracts a person’s first, last, and middle name. I didn’t do anything after the read, but simply added a display that shows the current row in the process. I will post an updated version that shows how to break down a column that is delimited and insert each section into its own column in another table. Finding rows on a table is straight forward when filtering on columns, but what if you want to find duplicate data. Let’s say I have a table that represents parents and children. The key to the table is the parent guid which is unique. Each row also has a child guid key that unique to the child, but is not unique in the sense that the child could have accidentally been added to the table twice. As you can see, David Doe was entered twice. How do you narrow your query to group like rows? But now you only want to return rows that are duplicate only. This is where the ‘HAVING’ clause comes in to play. By adding HAVING COUNT(*) > 1, only rows that are duplicated more than once will return in the result set.